If the massive frame doesn’t get your attention, then the silky skating stride most certainly will. Big fellas -- Blaine’s Nick Bjugstad stands 6-foot-5 -- just don’t move that smoothly. And then comes the cherry on top of all that fudge and whipped cream: the shot. Bjugstad has spent hundreds of hours perfecting a wrist shot that, once launched off the blade of his extra-long stick, becomes a black blur goaltenders have little chance of stopping. One of several high schoolers invited to participate in the Minnesota Wild’s skills competition in late January, Bjugstad beat the pros by scoring six times during the rapid fire competition. Leveraging all of his skills into one last high school season, Bjugstad scored 35 goals and 34 assists in 30 games. 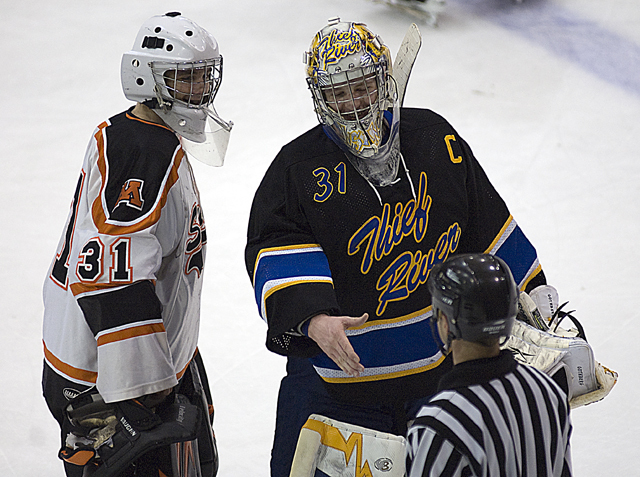 He almost singlehandedly led Blaine to the state Class AA tournament, scoring two goals each of the Bengals’ tightly contested Section 5AA semifinal and final wins over Osseo and Maple Grove, respectively. In those two games, Bjugstad played every other shift and created more and more scoring chances as the clock wound down. “You get to this point in the year, it’s do or die,” Aus said about his reliance on Bjugstad’s scoring. “You’ve got to do whatever you can. Bjugstad was held without a point in Blaine’s state tournament losses to Apple Valley and Roseau, but he still did enough to earn the Hockey Hub’s inaugural All-State Player of the Year Honors. A junior who accelerated his studies so he could graduate this spring and play for Minnesota next season, Bjugstad also was named Mr. Hockey and is expected to be a first-round NHL draft pick in June. 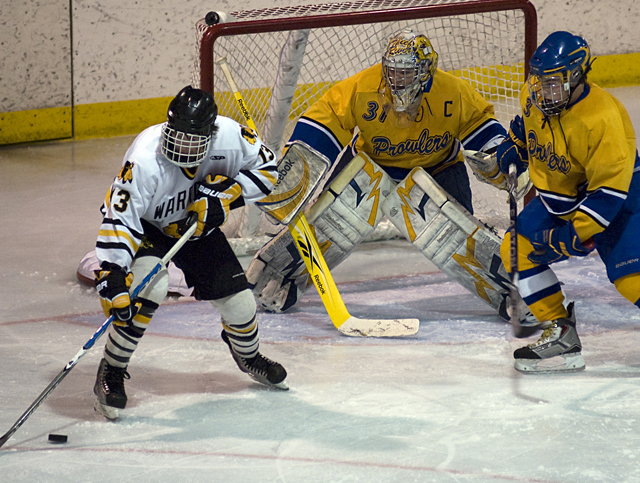 Zane Gothberg Thief River Falls Sr. G 6'0" 180 Allowed more than three goals in just three of 25 regular season games. 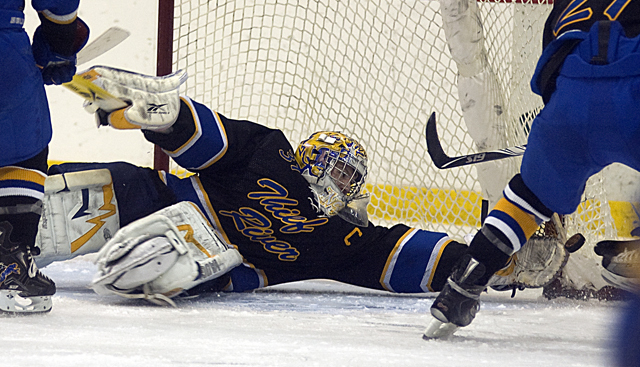 Posted a .925 save percentage and 1.81 goals-against average, including three sectional playoff games. Used size and quickness to dominate games. What's Next? Gothberg has committed to play at North Dakota. 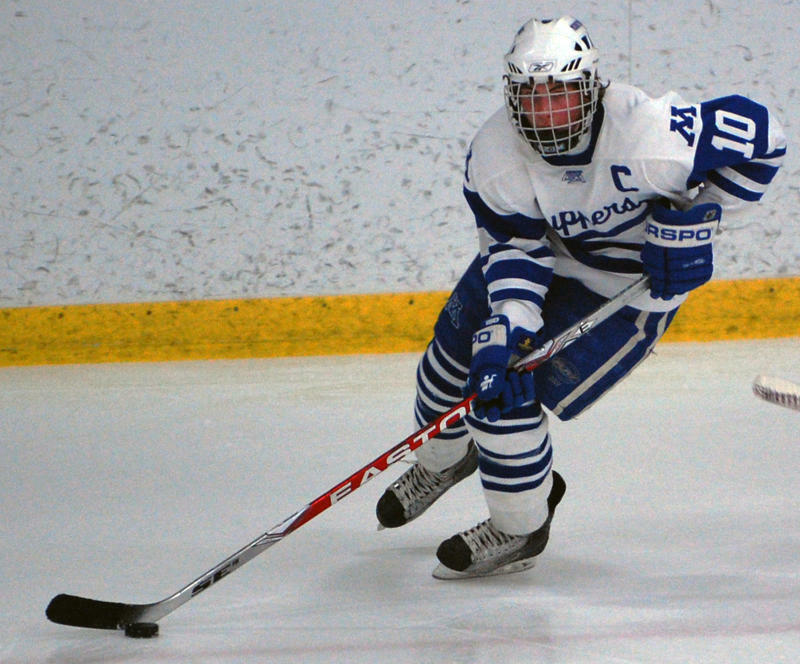 Justin Holl Minnetonka Sr. D 6'2" 170 Scored 17 goals in the regular season and added three more in the playoffs. Finished the season with 37 points. Seemingly effortless skating stride among smoothest in the state. What's Next? Holl has committed to Minnesota. 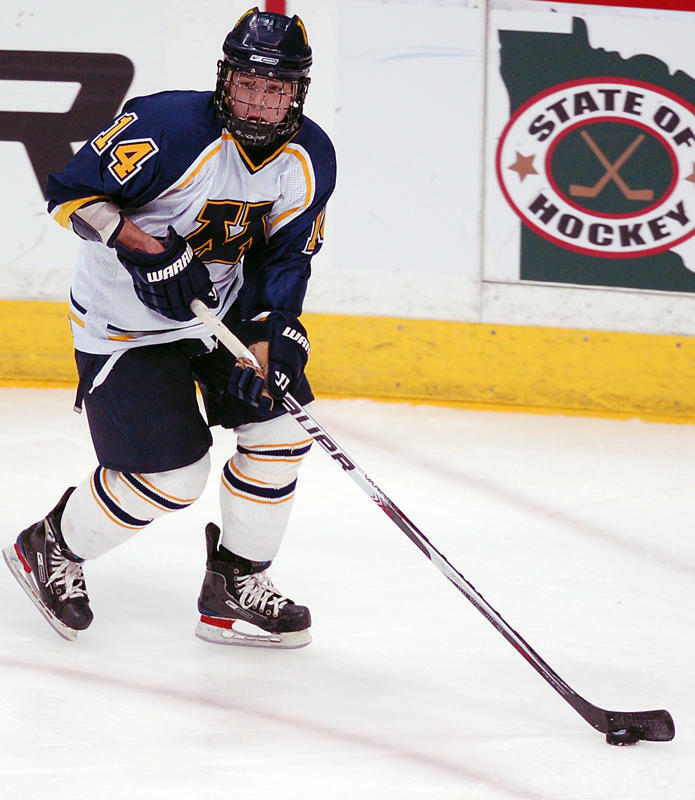 Ben Marshall Mahtomedi Jr. D 5'8" 160 Had 20 goals and 40 assists while logging heavy ice time for the Zephyrs. Speed and elusiveness are most noticable traits, but Marshall threw his body around with effectiveness at state Class A tournament. What's Next? Marshall has committed to play for Minnesota, but has another year of high school dominance remaining. Nick Bjugstad Blaine Jr. F 6'5" 188 Mr. Hockey award winner finished with 30 goals and 35 assists in 30 games and was held without a point in just three games all season. 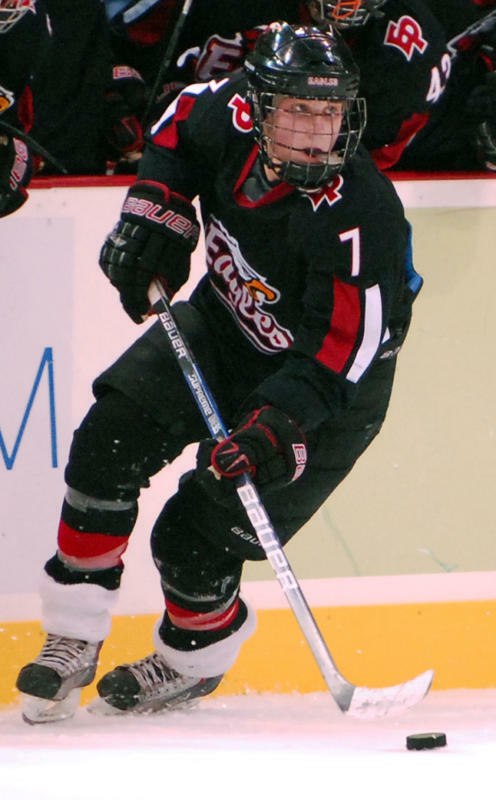 Wrist shot is unmatched in both velocity and accuracy. What's Next? Although technically a junior, Bjugstad accelerated his studies so he could graduate this spring and attend the University of Minnesota. 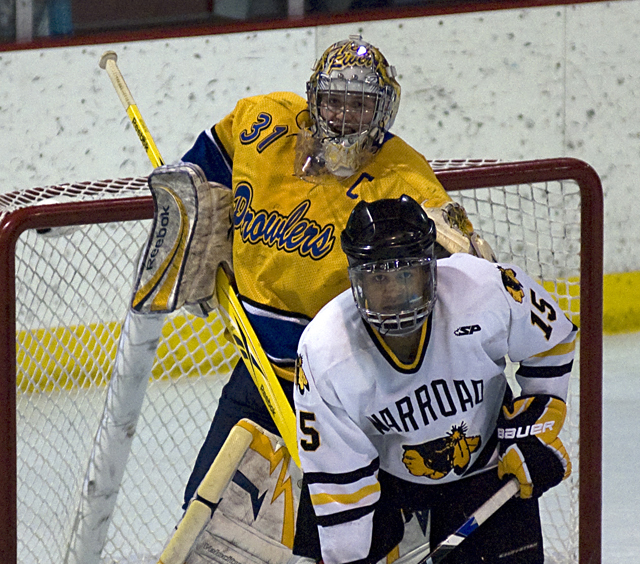 Brock Nelson Warroad Sr. F 6'2" 205 Amazingly consistent, Nelson failed to score a goal in just two games all season. He finished with 53 goals and 42 assists and was especially dominant in the postseason, when he scored 14 goals in six games. What's Next? Nelson has committed to play at North Dakota. Kyle Rau Eden Prairie Jr. F 5'7" 150 Rau had 40 goals and 41 assists despite being the one Eagles player opposing defenses knew they needed to stop. Rau combines rare quickness with deceptive strength. What's Next? Another high school season with the Eagles. John Russell Breck Sr. G 5'11" 145 Wasn't tested often during the Mustangs' dominating regular season, but Russell continued to play his best in the biggest games, leading Breck to back-to-back state Class A titles. 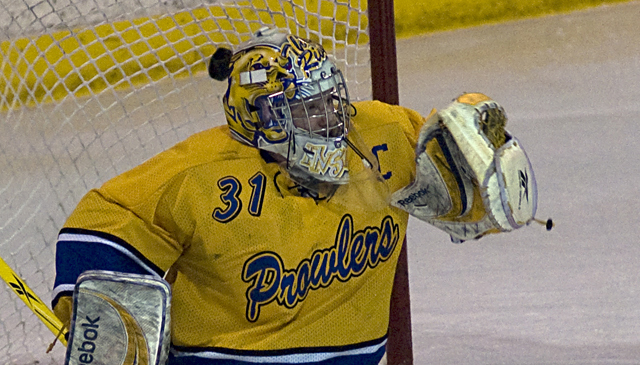 He finished with a .936 save percentage and 1.40 goals-against average. What's Next? 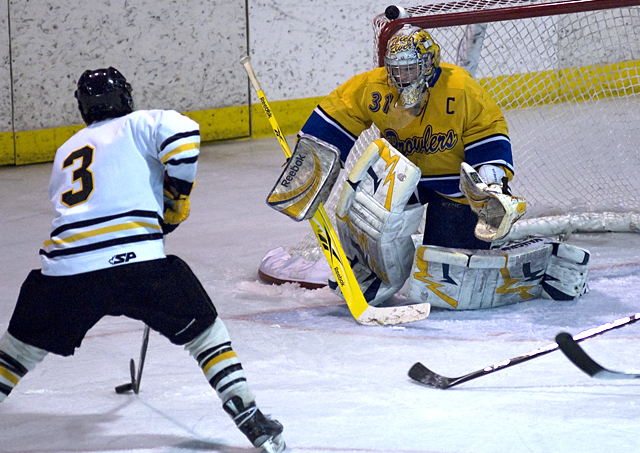 Russell likely will play a year of junior hockey, potentially in the USHL, before heading to college. Joe Faust Bloomington Jefferson Sr. D 6'2" 170 Faust scored amazing third-effort goal in OT to beat Burnsville in Section 2AA semfinals, a testament to his athleticism and his booming shot. Finished the season with 14 goals and 32 assists. What's Next? Faust has committed to play at Princeton. Andrew Prochno Minnetonka Sr. D 5'9" 170 Produced 11 goals and 32 assists playing a high-speed transition game that showcased his offensive skills. Found time to play defense too, as he finished with plus-33 plus/minus rating. What's Next? Prochno has committed to play at St. Cloud State. Max Gardiner Minnetonka Sr. F 6'2" 175 Missed eight games with a broken wrist and still finished among the Skippers' scoring leaders. Equally gifted as a scorer or playmaker, he finished with 22 goals and 32 assists. What's Next? Gardiner has committed to play at Minnesota. 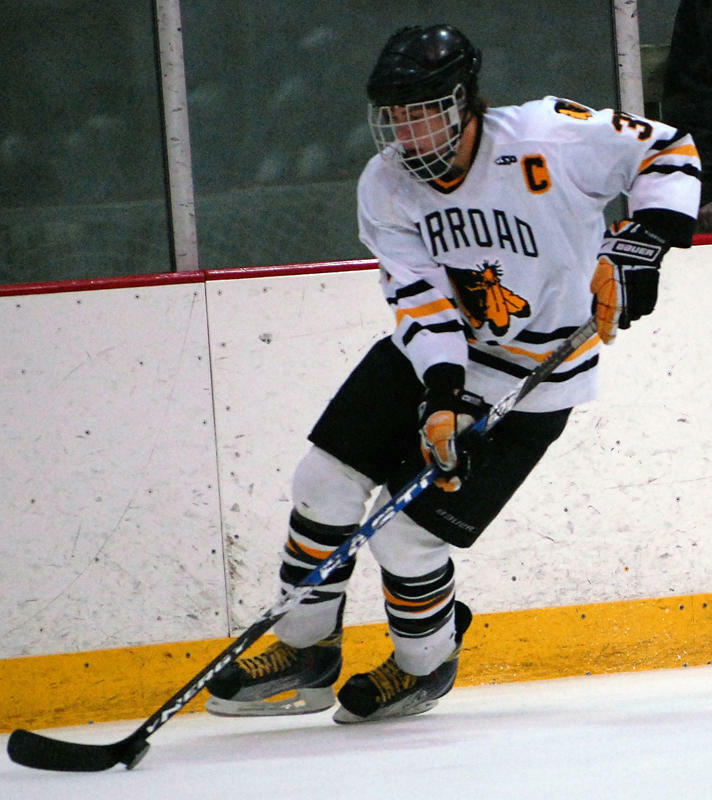 Cal Decowski Andover Sr. F 5'8" 160 Superb playmaking skills and hockey sense allowed Decowski to lead the state in assists during the regular season with 50. He finished season with 25 goals and 79 points. What's Next? Decowski has comitted to play at UM-Duluth but will likely play at least one year of juniors first. Adam Krause Hermantown Sr. F 6'0" 175 Big, strong center can play most any style, as he mixed goal-scoring finesse with at times overpowering physical play. Finished the year with 37 goals and 29 assists. What's Next? Krause has committed to play at UM-Duluth. Joey Benik, St. Francis, sr.; Tyson Fulton, Breck, sr.; Steven Fogarty, Edina, jr.; Max Gaede, Woodbury, sr.; Garrett Hendrickson, Virginia/Mountain Iron-Buhl, jr.; Caleb Herbert, Bloomington Jefferson, sr.; Christian Isackson, St. Thomas Academy, sr.; Archie Skalbeck, Hopkins, sr.
Mark Alt, Cretin-Derham Hall, sr.; Chris Casto, Hill-Murray, sr.; David Jarrett, Edina, sr.; Troy Hesketh, Minnetonka, sr.; Brett Stern, Centennial, sr.; Lucas Whelan, Wayzata, sr.
Aaron Davis, Mound-Westonka, sr.; Bodhi Engum, Burnsville, jr.; Alex Fons, Hopkins, sr.